Auto Dry Cycles use an integrated thermostat to control temperatures and sense when fabrics are dry to help eliminate heat damage and take the guesswork out of drying. 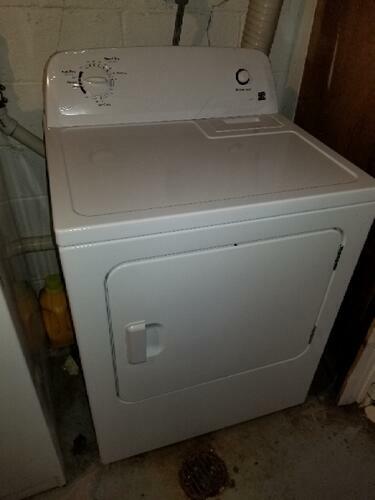 Gives you enough space to evenly dry your largest loads straight from the washer. Helps prevent wrinkles from setting in by tumbling clothes periodically for up to 40 minutes after the cycle is done. 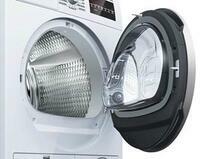 Gives the ability to change the direction of your dryer to fit the flow of your laundry space. With just a turn of a dial you can change the temperature settings to ensure even your most delicate items are dried with care. The door of the dryer could be reversed and placed either on the right or left hand side. This allows for more flexible installation. This dryer's is doubly efficient. The Energy Star rating means it's pretty lean on power consumption in the first place, but this is compounded by me not having to repeatedly put clothing in for several cycles. I need to assure that this is a real review because it seems like everyone thus far just has general disdain for Kenmore products. I purchased this dryer three years ago after a ton of research that turned up a trove of positive feedback. I can only affirm my original impressions as this dryer has done its job thoroughly, efficiently, and with no issue despite pretty rigorous use. If I had my druthers, I wouldn't have chosen any other dryer. I really love this dryer!! My mom bought it for me as a house warming gift because I needed a new dryer and it's very efficient and spacious. It's more space that I and my husband need at the moment but we anticipate having it in the years to come when our family expands. 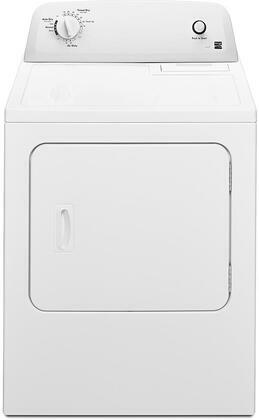 For now, it still saves us a lot of money because we can dryer larger loads less frequently. I hadn't bought a dryer in 15 years and was hopelessly lost when comparing features. At the AppliancesConnection.com site, I just ticked the boxes that indicated my needs and hit on the Kenmore machine. Four months later and it's still exactly what I need. Wasn't sure I'd love the Front Load design of this model but it's been wonderful. Really enjoying how quickly and quietly my laundry gets done now. I'm really glad I upgraded to a Kenmore dryer. It's a little noisy, but definitely much quieter than my last dryer, and it dries everything in a single cycle! Simply put, it works like a charm. I've always thought Kenmore manufactures quality appliances and this Front Load dryer proves that point. 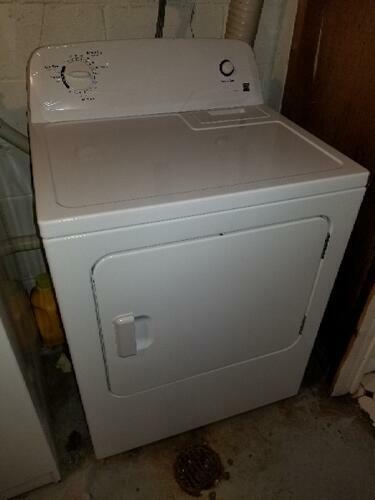 I replaced a dryer from a set whose washer also needs to be changed out but I could only afford to get one at a time. The washer's spin cycle is wonky and clothes come out sopping wet. Much to my surprise, this new Kenmore dried everything in about an hour! Color me impressed. 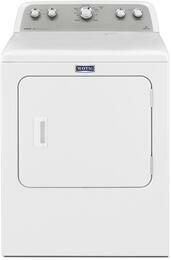 My husband and I bought this dryer and the matching washer from Kenmore and we love it!! It's very quiet and has a ton of options for different types of clothes.